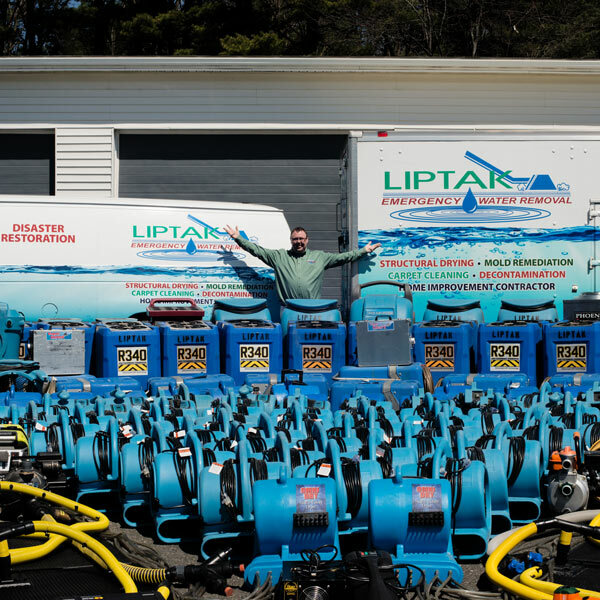 Liptak Emergency Water Removal Inc. was originally established in 1991 under the original name of Liptak Carpet Cleaning & Restoration Inc. based out of Westfield, MA. I, Cory Liptak WRT,ASD, started my company while in college and after hard work and extensive schooling I was able to watch my vision grow. In 1994, the early years, I recognized the demand for Flood & Fire Restoration. My team and I immediately began the required training and achieved certification in each restoration field. In all the years that followed, Liptak Emergency Water Removal grew and continues to grow, including our large Fleet of vehicles and expansive State-of-the Art equipment, making us your best choice for all damage jobs from homes to large commercial buildings. It is personally gratifying to go into a disaster situation and in a very short time transform our customers house back to the home they love! Our dedicated team specializes in Emergency Water Removal, Complete Water Damage Mitigation and Reconstruction, Sewage Clean-up, Mold Remediation, Structural Drying, Smoke/Soot Clean-up, Complete Fire Restoration & Rebuilds. Our Mission is to provide exceptional service to the insurance industry and their clients based on safety, quality workmanship, timely service with industry standard pricing and complete professional knowledge of their clients unique needs. We strive for 100% customer satisfaction which ensures the longevity of our company through referral business. Call us anytime / anyday to get your cleanup started. You can count on Liptak to get your house back to the home you love in a fast, friendly, and efficient way. Providing the highest level water damage restoration to all of Western Ma and surrounding areas since 1991. Our team of caring employees are standing by to help! If you have a bad situation, Liptak Restoration cares about your home, your family, and your piece of mind. Our Service Professionals are always courteous, on time, and prepared to save your house from any kind of disaster.